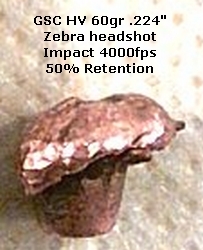 Every bullet has a window of application that is impact speed related. 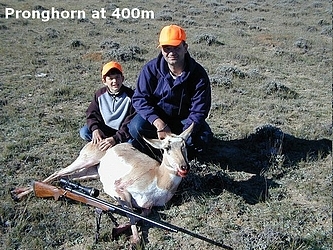 Some windows are wider than others. 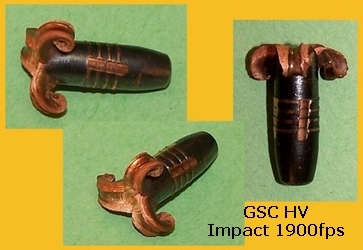 GSC put together a number of photos sent to us by users of GS Custom HV bullets and bullets recovered from tests we did in water. 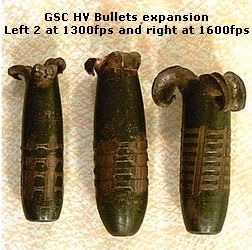 The GSC HV bullets below were fired into water at reduced speeds, primarily to observe the engraving patterns left by the individual barrels. 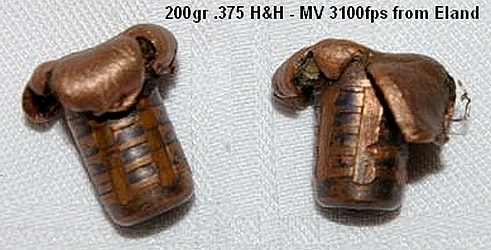 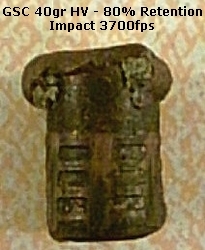 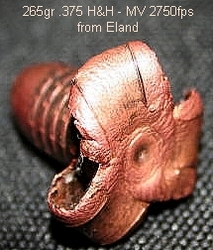 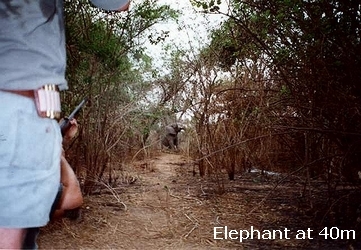 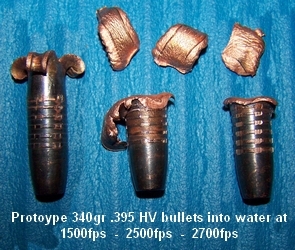 The bullets below were fired into water containers by several users to observe the expansion at different impact speeds. 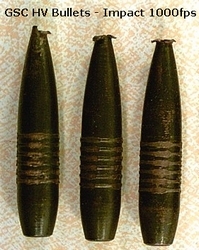 These bullets were recovered from game and are similar to bullets fired into water at similar impact speeds. 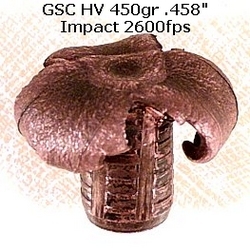 At speeds above 2700fps, there is an excess of energy and momentum. 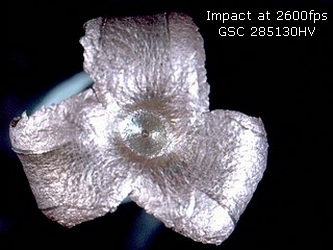 We have found that a small loss of weight is a good trade for the reliability gained at low speed impacts and the deep, linear penetration a pre-formed cylinder shape gives at high speed. 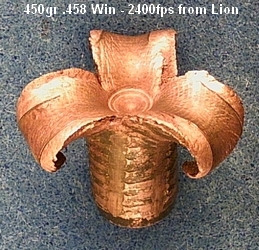 More Accurate, More Consistent, Most Reliable.